Southern Alberta was, and still is, ranching country, with millions of acres of grasslands providing pasture for hungry cattle. 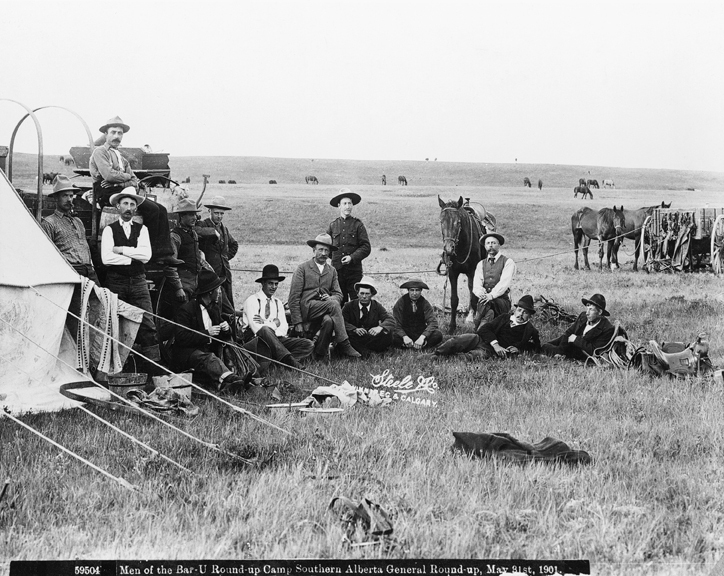 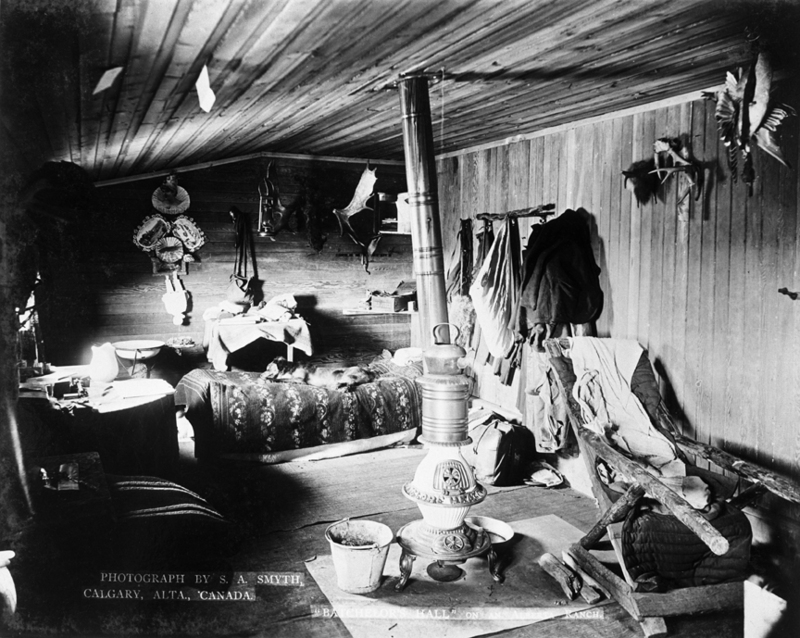 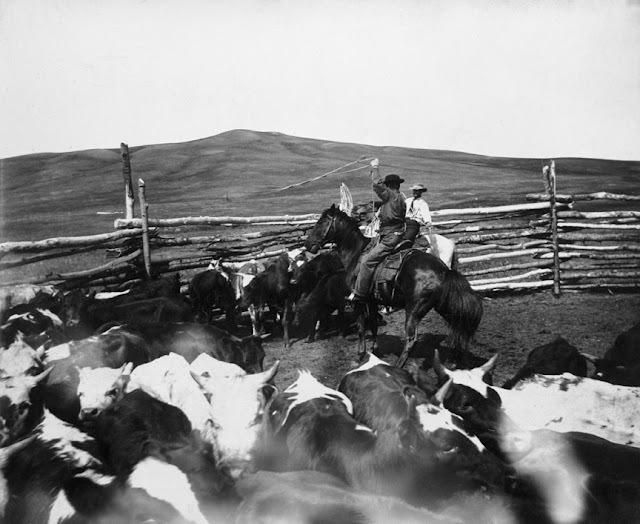 Many ranches were established in the province beginning in the 1880s, and cowboys were hired to help take care of the cattle, horses, and other livestock. 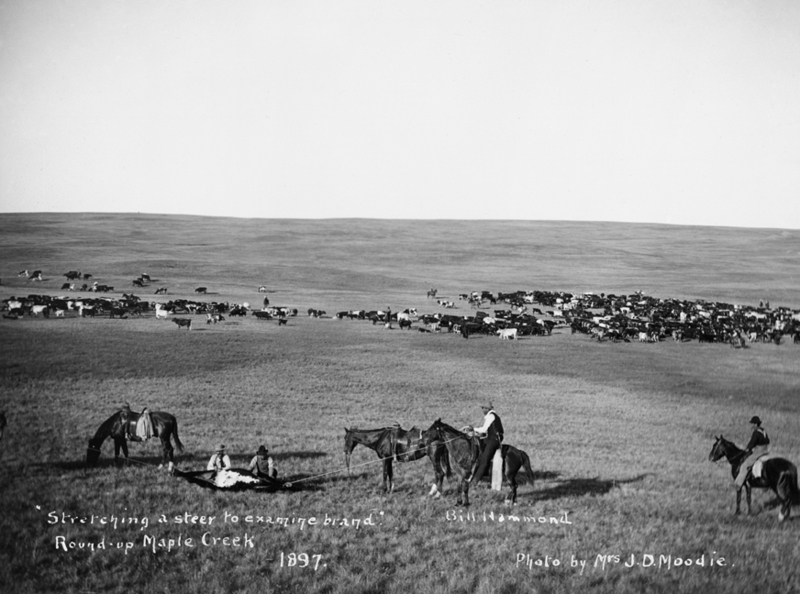 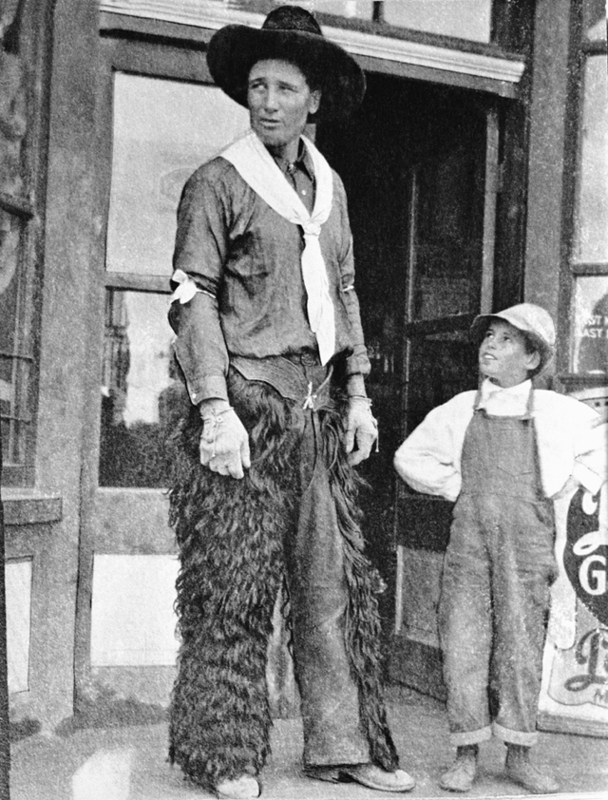 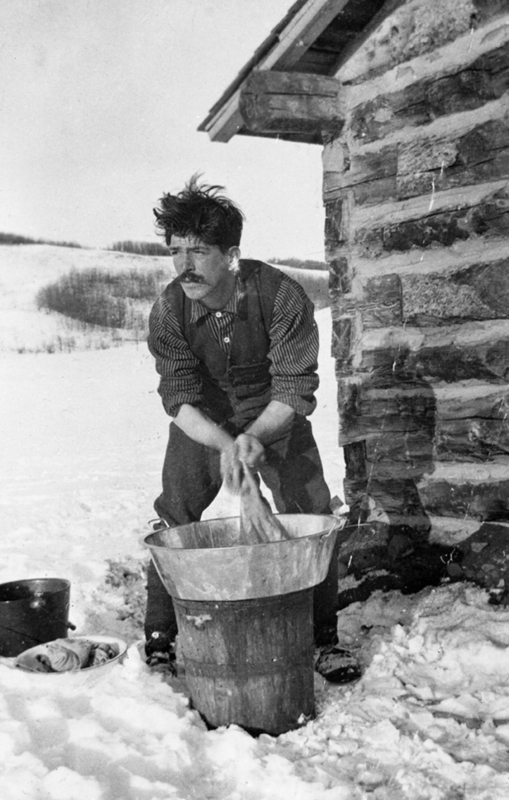 They worked for large outfits such as the Bar U Ranch, the CC Ranch at Mosquito Creek, and the Bow River Horse Ranch. 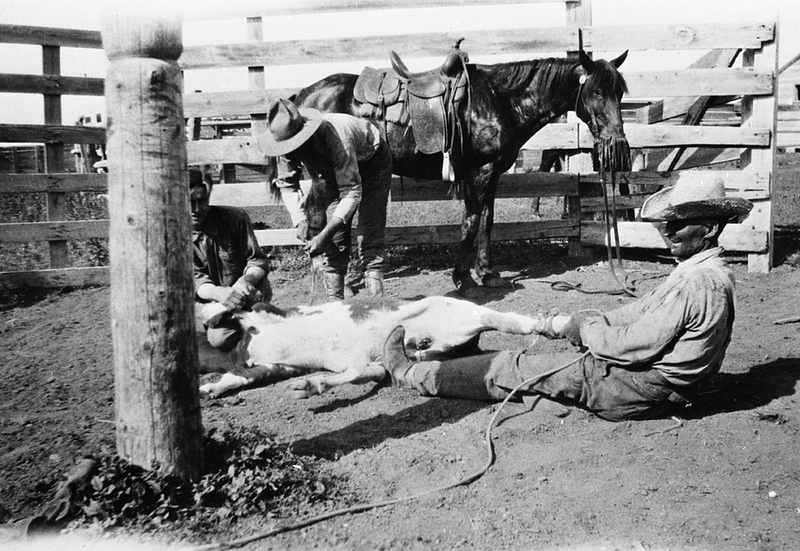 They branded animals in the spring and took part in huge fall round-ups. 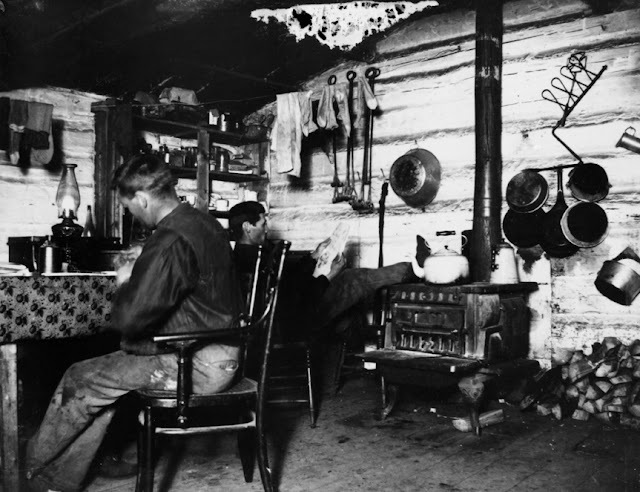 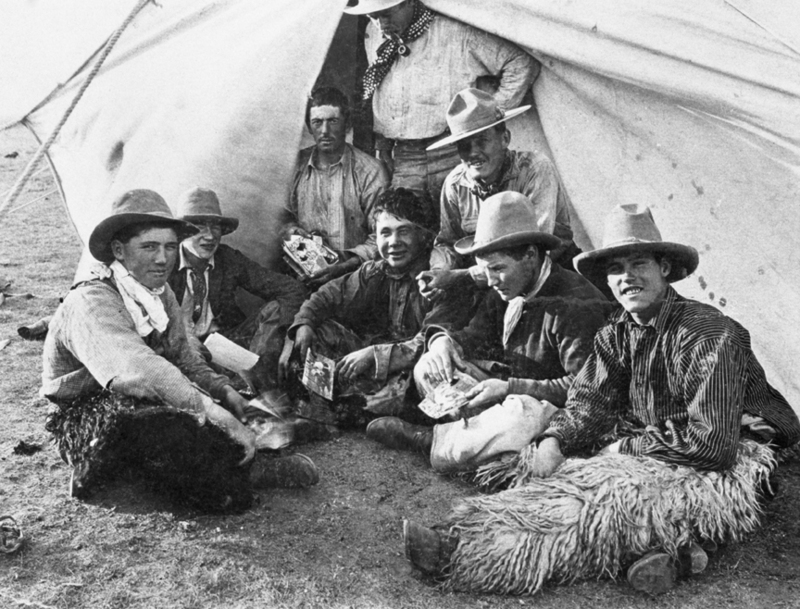 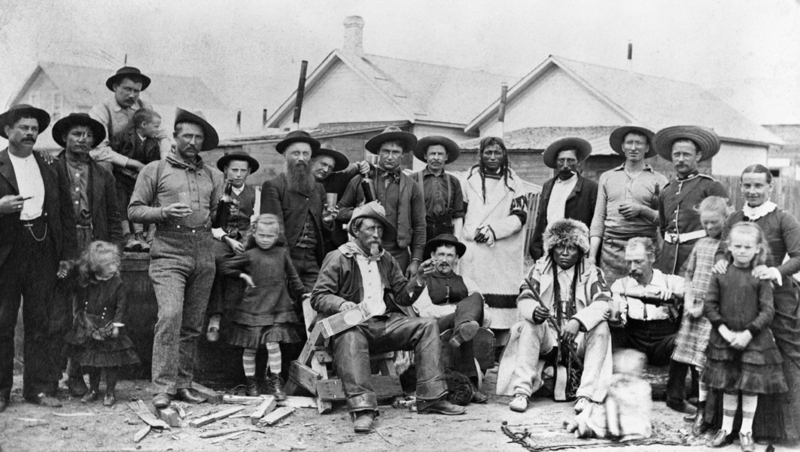 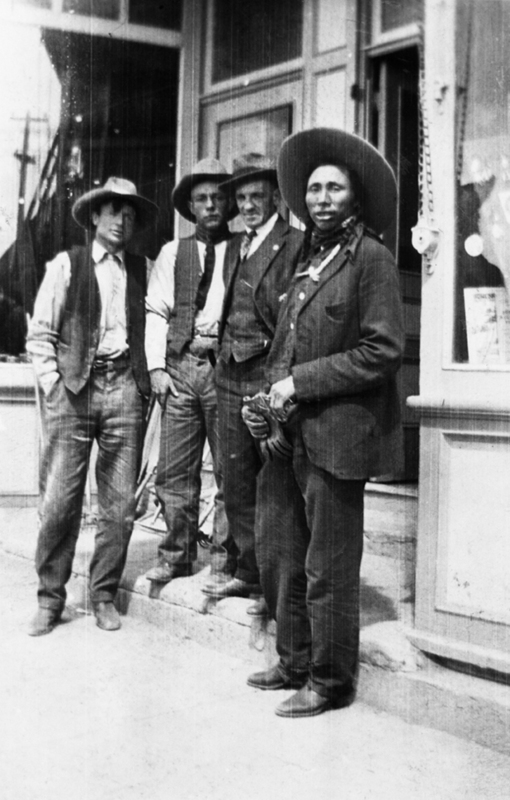 They lived in bunk-houses and tents, ate chuckwagon grub, were expert horsemen (some joined the rodeo circuit), and spent much of their lives in the saddle. 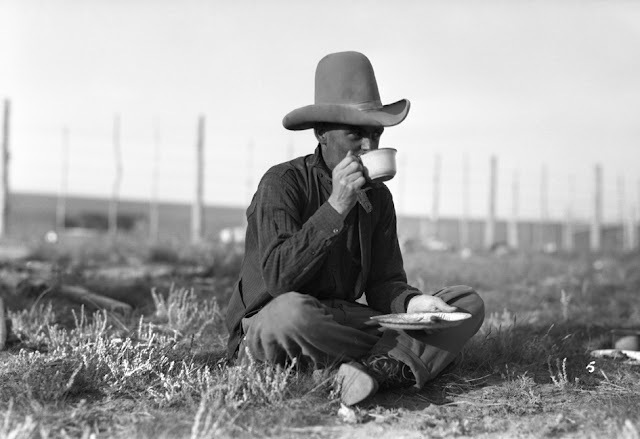 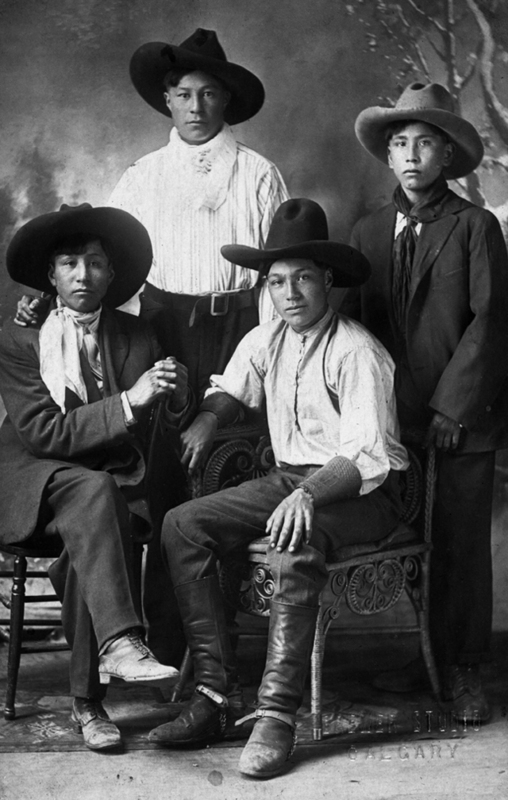 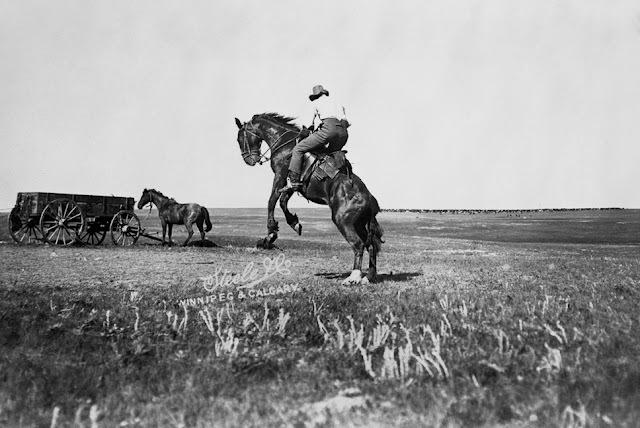 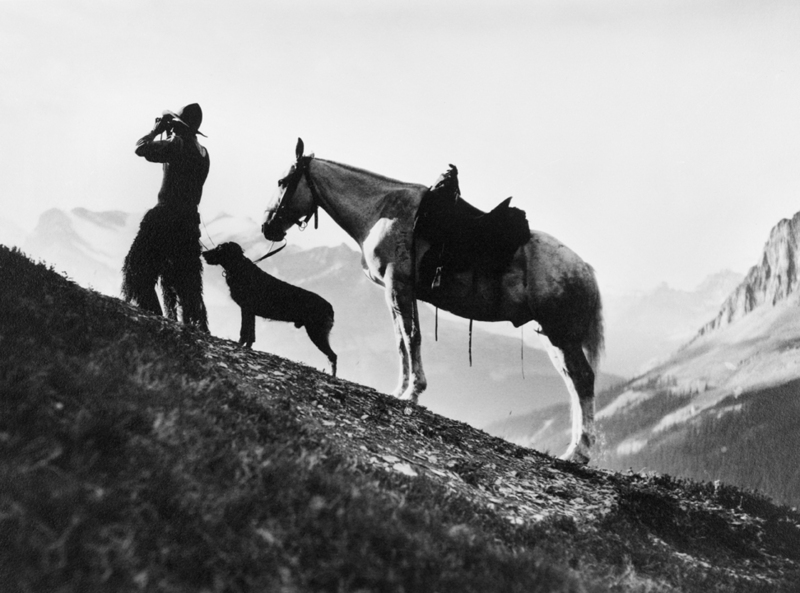 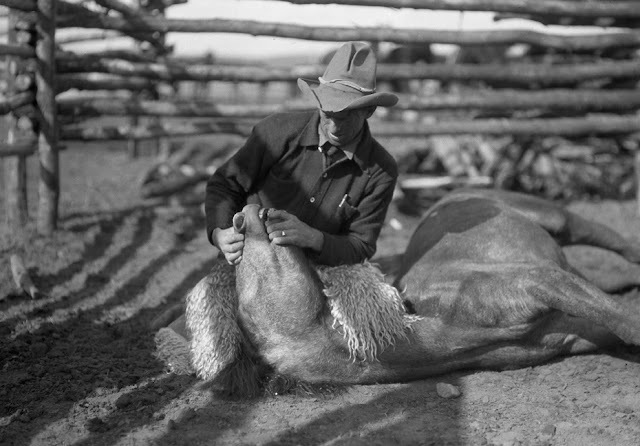 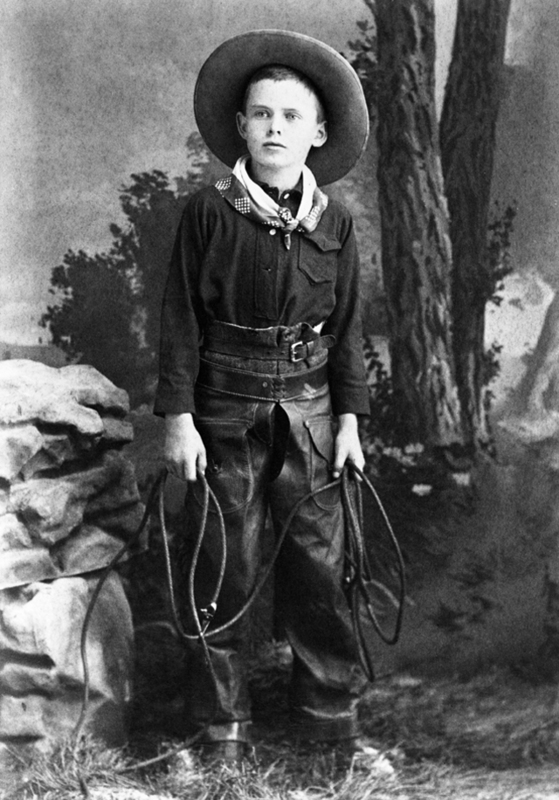 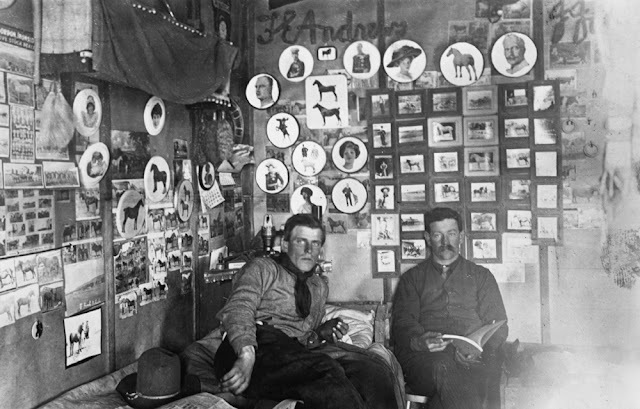 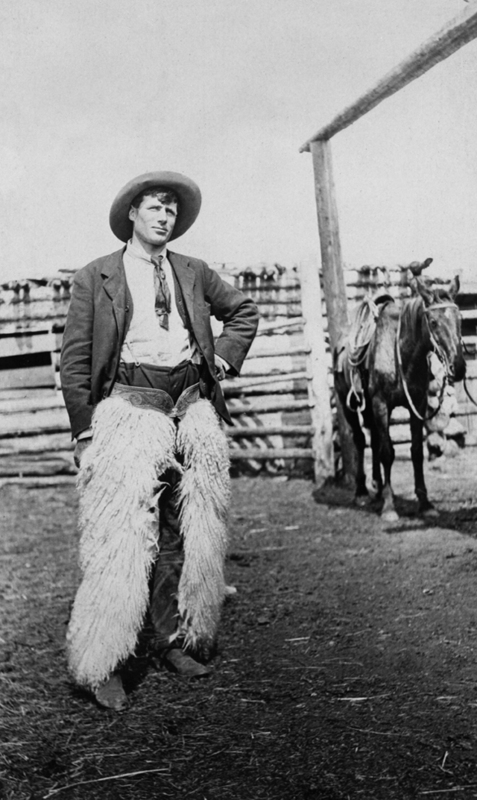 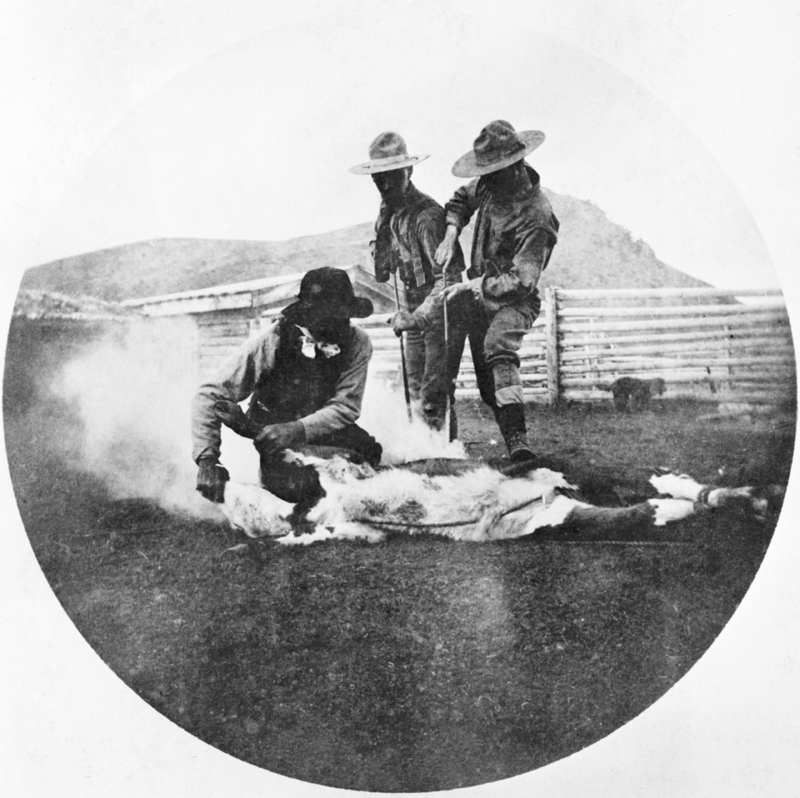 Enjoy this selection of cowboy photographs, dating from 1883 to 1926. 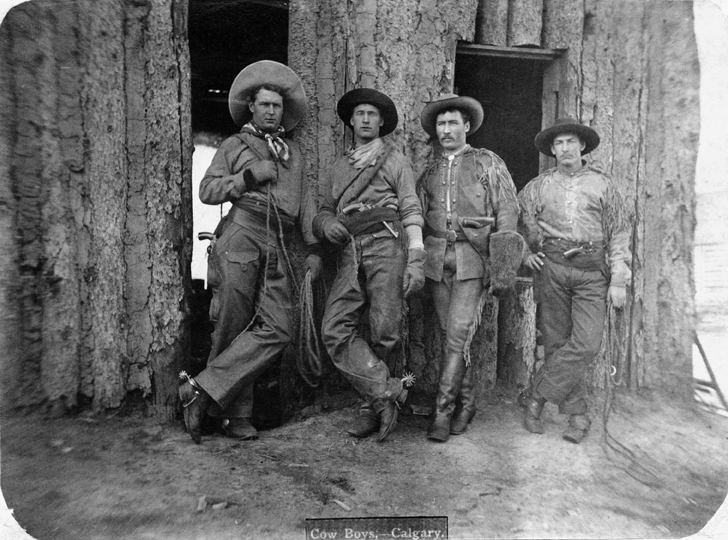 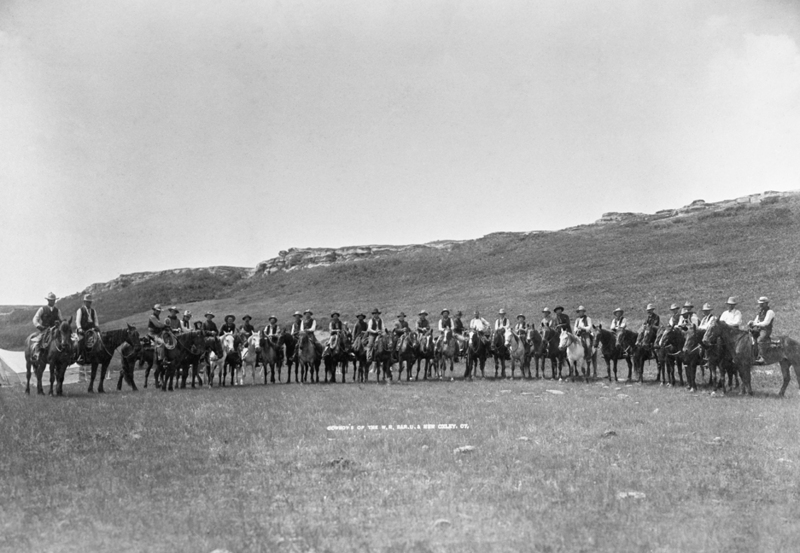 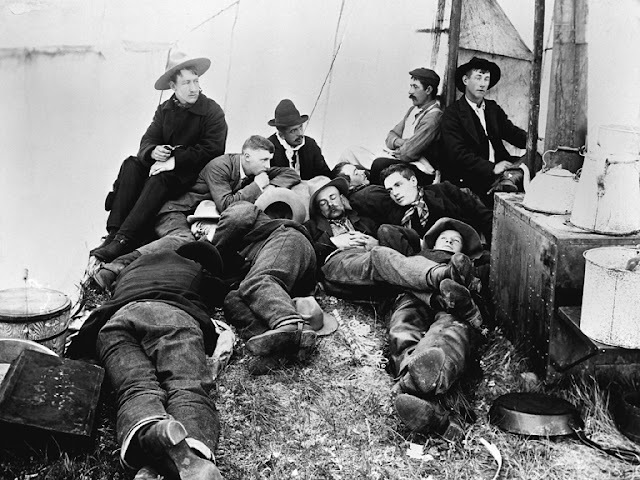 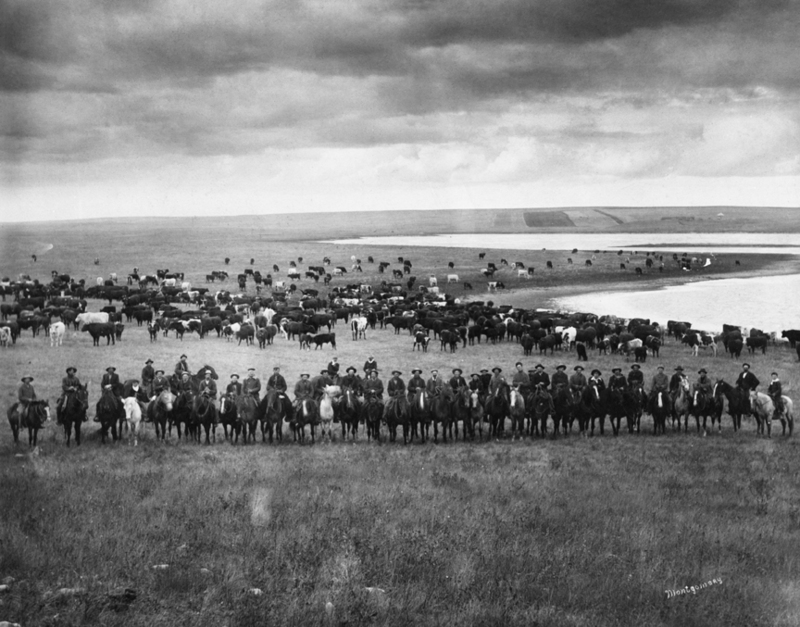 Bar U Ranch cowboys, general round-up, southern Alberta, May 31, 1901.